OCTOBER 27, 2014 - Dr. Henrie Treadwell was awarded the Order of the Palmetto, the highest civilian honor, presented by Nikki R. Haley, South Carolina Governor. 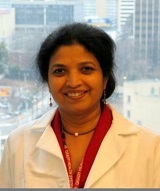 OCTOBER 23, 2014 - For 20 years, Rao has investigated the inner workings of the BRCA1 gene linked to breast and ovarian cancer. 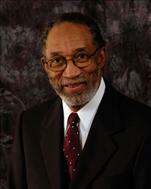 OCTOBER 8, 2014 - Dr. Robert L. Wright, former MSM Board of Trustee, received the Phoenix Award from the Congressional Black Caucus and was featured in the Ledger-Enquirer. SEPTEMBER 30, 2014 - The fifth James Reed lectureship held Oct. 1, featured NIH Director Center for Translation Research and Implementation Science (CTRIS) at the National Heart, Lung, and Blood Institute (NHLBI) George A. Mensah, M.D., FACC.